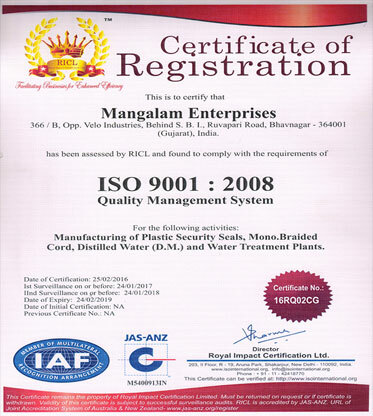 Mangalam Enterprises is an ISO 9001-2008 certified manufacturing company which came into existence in 1993 to bring forward a range of dependable products and service. 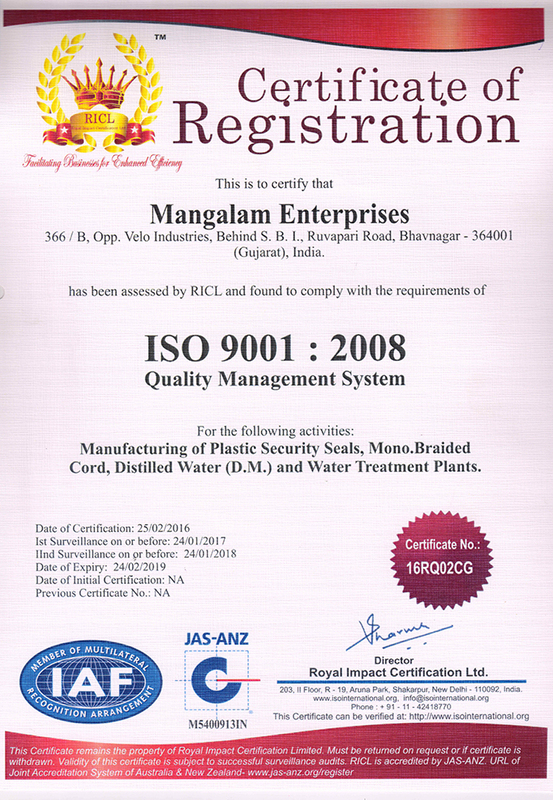 Since then, we have polished our skills and improved our capabilities to acquire a reputation of leading Manufacturer, Exporter and Supplier. With our advanced machining capabilities and facilities, we produce Poly Carbonate Plastic Security Seals. Manufactured as per the industry standards, our products have gained wide acceptance in the domestic market.